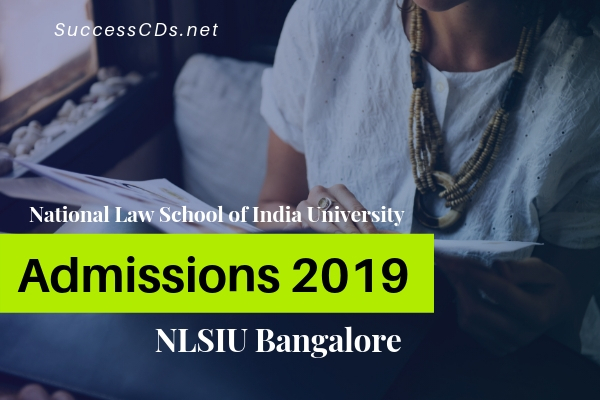 NLSIU Bangalore Law Courses Admission 2019 - The notification for National Law School Of India University (NLSIU) Bangalore LLB LLM Law Admission for Foreign Nationals 2019 has been announced. National Law School of India University (NLSIU), Bangalore invites applications for admission to Undergraduate [B.A., LL.B (Hons)] Degree Program and Post-graduate [One-Year LL.M] Degree Program for the academic year 2019-20 under Foreign Nationals Category. Last date of submitting online application is 31st March 2019. Candidates should have passed the LLB degree or its equivalent from a recognized university and should have secured not less than 55% of marks. Foreign nationals will be admitted directly on the basis of their performance in the qualifying exam, overall academic record and command over English language. Preference will be given to the candidates from SAARC countries and other developing countries. Candidates are required to submit the application online only along with a fee of US $150. (the bank details are enclosed for online payment. After making the payment,the applicants are required to email a copy of acknowledgement to: examdept@nls.ac.in by indicating the application number. Guidelines for online submission of application form is available on the website.